White Butterfly and Her Wings of Many Colors, written and illustrated by Susan Andra Lion, is a lovely children's picture book inspired by the late Arnold Bustillo. The book tells the story of a butterfly known for her kindness and willingness to help wherever and whenever needed. Fast as lightning and valiantly heroic, there is only one thing White Butterfly wants for in life; more than anything she wishes she had brilliantly colorful wings. But Lady Fairy wants to ensure White Butterfly's motives are pure. This tale provides a message of self-acceptance and humility for youngsters. Wonderfully illustrated, with words that are beautifully penned, this book provides pearls of wisdom for young readers that are lovingly nestled within the folds of a delightful story. This is a book which children are sure to enjoy reading again and again. 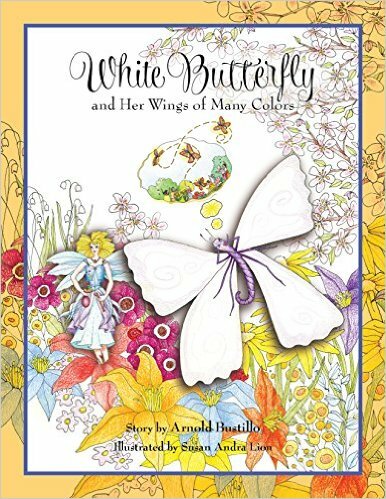 White Butterfly and Her Wings of Many Colors, is recommended for home and school libraries and has earned the Literary Classics Seal of Approval.